The following is a guest post about cash flow problems. If interested in submitting a guest post, please read my guest post policy and then contact me. Cash flow management is very critical to the survival of a small business. Studies indicate that as many as 80% of all small business start ups fail because of poor cash flow management. Cash flow problems are in most cases tied to the complex circumstances that small businesses find themselves. As a small business owner who is only starting, you may not be aware of all the roles you are supposed to play in the operation of the company. You are the CEO of the business, you are supposed to set and direct strategic priorities, and you also serve as the chief information officer, chief financial officer, and the chief financial officer (CFO). How best are you performing theses roles? Well, this article is interested in your job as the chief financial officer of your small business start up. Your role as the CFO is very critical especially given the fact a small business is prone to a wide range of financial difficulties. Understanding how your clients pay, how much you spent on inventory and your operating capital is critical to prudent financial management. Proper cash flow management entails delaying the outflow of cash until those who owe you money pay up. Cash flow management is very important if you have to succeed. Understanding the problems that small businesses face with cash flow management is critical for anyone intending to escape the trap. 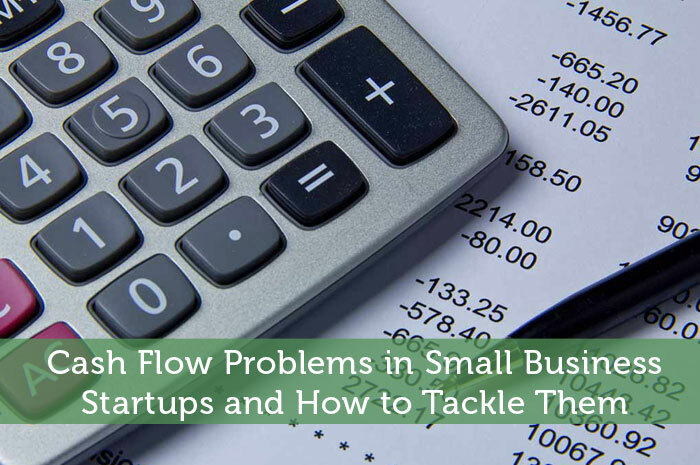 Here are the most cited causes of cash flow problems in small businesses. 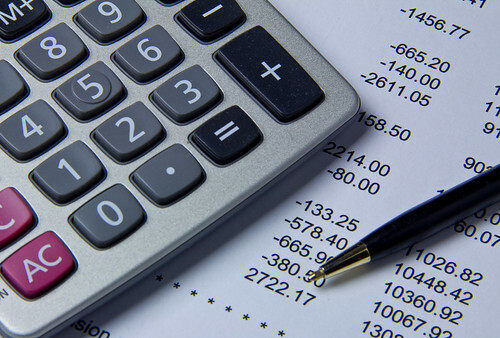 Expenses that exceed income – It’s a common occurrence for businesses to accrue loses for given period of time as they try to recoup the cost of putting up the business. But if a business has been in existence for let’s say three years and it’s still struggling with losses, then the reason for this might be needless spending or spending on things that are not essential. Too Much Overhead – Small business owners understand that financial prudence is important if the business has to grow but, in one way or another, they find themselves spending almost everything they generate. In some cases you might only need 2 to 3 employees but you have six who you are struggling to pay. You might also be paying yourself a very high salary that threatens cash flow. Worse still you could be spending a lot of cash on marketing and advertisement. Always try to find ways of minimizing costs – for instance, if your business can run effectively online, then don’t open a storefront at the launch of the business. You can run it from your house until it stabilizes. Prices – Most startups often set their prices low in hope that it will create increased demand for their products. If this is not done carefully, then the price will be a threat to your profit margins. A price that is so close to the cost of producing the product will not get you good profits even when you are making good sales. Therefore, you will always have a rough time trying to meet your financial obligations. Always try to get the price correct right from the start. Paying your bills early – It’s a good business practice to pay your bills on time. Some small business start ups prioritize on bills and pay them early believing that by doing so they will be on the safe side. On the contrary, you are more safe paying bills closer to the due date because the longer you have the money, the better your cash flow is. Poor debt collection methods – Customers who pay slowly or refuse to pay at all are bad for a small business. Only give credit to customers you are sure that they will pay. If you need them to bring references, ask for it. Start collecting the debts as soon as they fall back on payments. Having a standard procedure for collecting debts is very critical here. Giving discounts to customers – Giving discounts to encourage customer loyalty is a good business strategy. However, if you give discounts at high rates then you risk hurting your profits and entering into dangerous cash flow levels. If you really think that offering discounts is a good strategy for your business, don’t go higher than 3%. If you are looking to venture into the small business industry, it’s apparent to you that you will be the chief financial officer (CFO) of your business in addition to other roles. Do you understand that there is nothing more important than having a strategic plan in managing your cash flow? And do you have what it takes to ensure proper cash flow management? In most cases however, the quality of services or products on offer is never the real problem that small businesses face. The dedication to work and competency to handle various businesses processes is really what determines your fate, and this is where proper cash flow management really becomes an issue. You should always try to safeguard liquidity for the business to run smoothly. Your goods might be well received in the market but you cannot meet the demand because you are financially limited. This definitely leads to customer dissatisfaction and a host of other problems that are likely to kill the business if not checked. Up to 80% of small business startups fail because of poor cash flow management. It doesn’t take rocket science to know that good cash flow management practices result into an 80% chance of success. Observe the challenges outlined above and stick to the rules when it comes to cash flow management and your small business will most likely succeed.